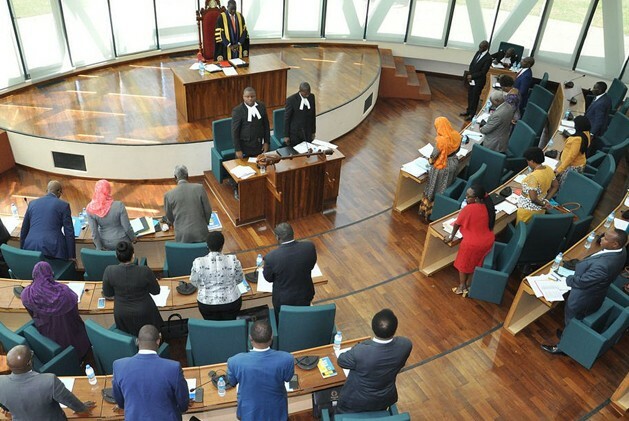 The East African Legislative Assembly (EALA) will be the highest paid in the region and second only to Nigeria on the continent following the approval of a $1,208 increment to their basic salary beginning July. The MPs are expected to earn $6,408 as their basic salary, up from $5,200 following an approval by the EAC Heads of State at their November Summit in Kampala that the increment be included in the 2014/2015 budgetary allocations to the EALA. In the proposed EAC budget, EALA has been allocated $14.7million, 6.3 per cent higher than their 2013/2014 budget. The MPs are entitled to a sitting allowance of $400 per day and medical/travel insurance. Considering that the average sitting days for the MPs during plenary each month is 12 days, their allowances add up to $4,800. But they would rake in about $8,500, given that when not in plenary, they do committee work. The MPs will now take home $14,908 per month, including the allowances. Apart from the basic salaries the MPs receive from the EAC Secretariat, they are given facilitation allowances by their states of origin for activities such as sensitising citizens on EAC matters as required by the EALA regulations. So far, EALA MPs have enjoyed better pay compared with other national Parliaments in the region apart from Kenya. The Kenyan politicians were the highly paid in the region and second in Africa after the Nigerian lawmakers with a basic monthly salary of $13,740 that is subject to an annual increment of 8 per cent. Their Nigerian counterparts, the global leaders, earn a monthly salary of about $15,800, excluding the allowances. Uganda MPs earn a monthly salary of $8,715, Tanzania $7,266 while Rwanda MPs earn $1,271 per month. In the EAC budget, each partner state makes an annual contribution towards the functioning of the secretariat, Court of Justice, the Inter-University Council and EALA. EALA is the legislative organ of the East African. This article was first published in the East Africa Newspaper 2 years ago and is meant to give Ugandans an idea of the EALA MP emoluments ahead of the vote in Parliament this week. The figures above exclude major allowances for cars and other benefits.